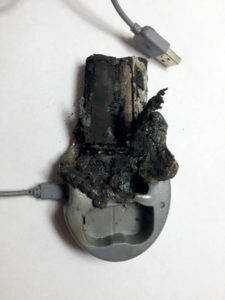 Usually, when a lithium ion battery catches fire, it’s an indication of a cheaply made, or even counterfeit battery that was bought online. But when a self-described major manufacturer of batteries has a problem, it’s a major cause for concern. The battery and charger, manufactured by Hahnel, was replaced with a few extras for good measure. Then, Hahnel requested Boen send the burned out hulks to the headquarters in Ireland for inspection. 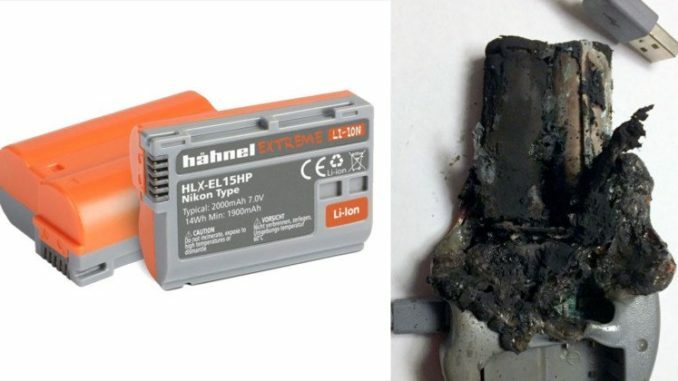 After several months of study, Hahnel which declared that a fault in the battery itself, and not the charger, caused the fire to break out. “One cell in the HLX-EL15HP short circuited internally and went into thermal runaway,” the report concluded. “This is very rare, but inherent, failure mode in all lithium-ion batteries. 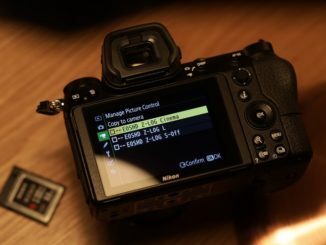 So, in essence, the battery company is saying that while their battery was definitely at fault, it isn’t due to the specific design or manufacturing techniques of Hahnel, but could happen to any lithium ion battery, including OEM batteries from Nikon itself. The bottom line is, that millions of lithium ion batteries are made every year, in a wide variety of designs. Even if 1/10th of 1% of those are faulty, that could amount to a potential of thousands of potential fire incidents. Well, isn’t that comforting? Frankly, I don’t know what else Hahnel could say. While accepting responsibility for the incident, they also sought to spread the pain by casting doubt on the entire lithium ion industry. What can one do? Well, the best you can do is to get your batteries from the original equipment manufacturer (OEM) or from a major brand. Avoid buying from eBay or some third party manufacturer, and always choose to pay a little bit more than the budget variety batteries are charging. 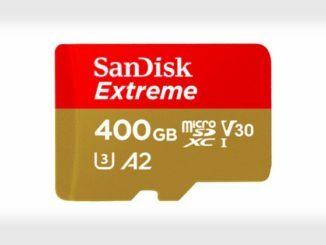 They have to cut corners to make a battery at prices under $15 and in doing so, could either leave out charging cut off circuitry, or make capacities lower. Also get your batteries from a reputable dealer online. While Amazon is a safe place, the portal is by no means safe from counterfeits as numerous sellers who use the online eCommerce site have sent out counterfeits. But Amazon is usually vigilant and harsh when those practices are discovered. In the end, you get what you pay for, and paying extra for piece of mind is certainly worth the price. And maybe plug the charger in to an extension cord outside.